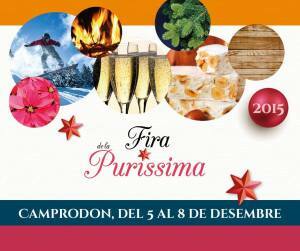 One of their ’ this is the pont de la Puríssima fair that will be held in the new source of Camprodon. The ’ beginning of ’ event is on Saturday 5 of December and can be visited until the day 8. The ’ schedule is from the 11 in the morning until 20 hours of the afternoon. You can buy typical products of the Valley, know the different establishments and enjoy a contest where you have the opportunity to inform you of some of the experiences that are offered in the Valley of Camprodon, such as being able to practice adventure sports with the best specialists. Savour culinary delights, the best power and also because you will not miss the table these Christmas holidays. If you have any questions you can ask at the reception of the campsite and you know that we like to inform you ’ happy.